Hardwood floors have been a classic choice for Indianapolis homeowners for decades. Beautiful and long-lasting, solid hardwood is a floor that never goes out of style. It can be, however, a floor that exceeds your budget. What choices do you have when you want the look of wood but can't afford the price tag? 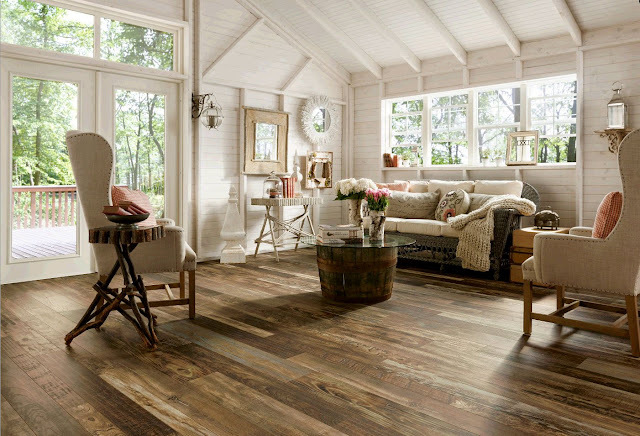 Kermans flooring store in Indianapolis has some gorgeous alternative wood floor options. Manufacturing advancements have created porcelain tile that looks so much like natural wood, most people don't believe it's tile. The level of details in these tiles is impressive and the result is a floor that carries the warmth and grain patterns of wood with the durability of porcelain tile. Tile manufacturers can now make tile in non-traditional sizes. When created as planks and embedded with a very realistic wood floor pattern, you have a tile that looks just like solid hardwood. Another bonus? Tile is naturally wear-resistant and moisture-resistance. Luxury vinyl tile and plank sheet flooring is becoming a category of flooring all its own. Intalled in planks that mimic the size and shape of hardwood floors, luxury vinyl does more than just mimic the look. Many luxury vinyl manufacturers even include subtle texture in the flooring that makes it feel more like natural hardwood. The real advantage to luxury vinyl? The ease of maintenance and comfortable feel underfoot. Vinyl has long been known as a floor that is soft underfoot and perfect in kitchens or busy rooms because of it's wear resistance and water proof qualities. Those qualities are still present in today's luxury vinyl, the difference is all about the appearance. Where to find alternative wood flooring in Indianapolis? Kermans Flooring is proud to carry Armstrong, Mohawk and other leading manufacturers of high quality porcelain tile and luxury vinyl. 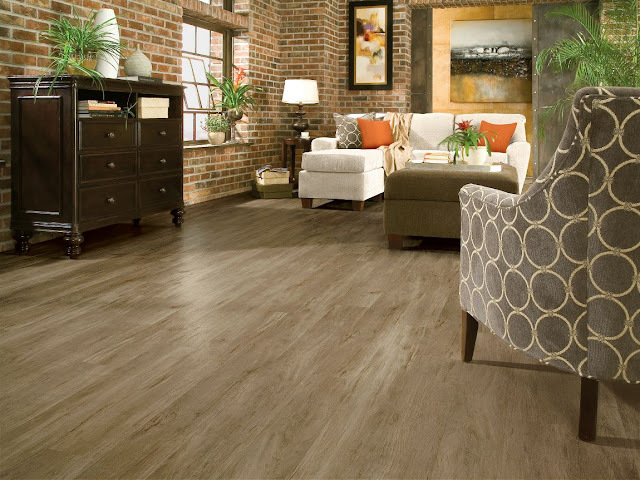 These types of flooring are new to many people so we encourage you to stop by our flooring store and see them for yourself. In fact, if you make an appointment with our design consultants we will have samples out waiting when you arrive.